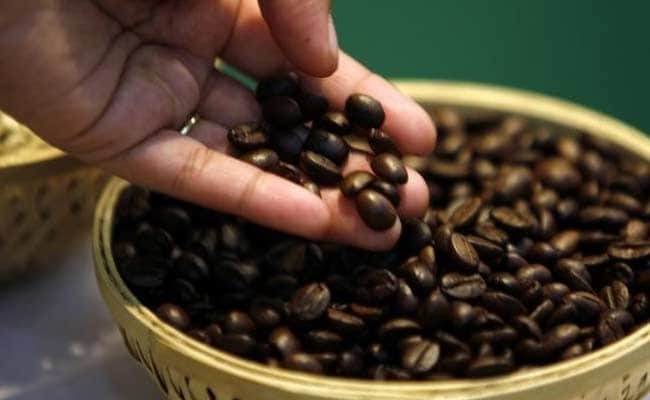 India's coffee output in the next crop year is expected to drop by around a quarter to the lowest in nearly two decades as poor rains and hot temperatures hit plantations during the crucial flowering stage, the head of an industry body said. India is the world's sixth-biggest coffee producer, well behind leaders Brazil and Vietnam. Nonetheless, lower production from India could provide more support to global prices, already surging due to a drop in the output in top producer Brazil. "Dry weather is hitting plantations in the crucial flowering stage. On a conservative basis, we are estimating a 25 percent drop in production," Baba P. S. Bedi, chairman of the Karnataka Planters Association (KPA) told news agency Reuters. Karnataka accounts for about 70 percent of India's total output. India is likely to produce 350,000 tonnes coffee in the current season ending on September 30, according to estimates by the state-run Coffee Board. With a 25 percent reduction in Karnataka, production could drop to 263,000 tonnes in the 2016/17 crop year, the lowest since 1998/99. The Coffee Board is expected to provide its first production forecasts for 2016/17 by mid-June, said D R Babu Reddy, an agricultural economist at the Board. India, which started coffee cultivation in 1670 with seven smuggled beans, produces mainly robusta, used primarily in instant coffee. "Due to the back-to-back droughts, ground water has been depleted," said Bedi, pointing to lower rainfall since the start of March on top of drought last year. Coffee growing regions in southern India received up to 70 percent lower rainfall than normal from March to mid-May, according to the India Meteorological Department. Higher than normal summer temperatures alongside water scarcity had badly impacted the conversion of coffee flowers into cherries, said Anil Kumar Bhandari, a large planter. India exports three-quarters of its coffee production and production problems will dent shipments in 2016/17, said an exporter based in Bengaluru. "This year, exporters are aggressively selling due to a recovery in global prices. Next year we will have very limited carry forward stocks," the exporter said. Italy, Germany and Belgium are the main buyers of India's crop, paying a premium over global prices. India's coffee exports have risen 19.4 percent to 213,187 tonnes since the start of current marketing year on October 1.